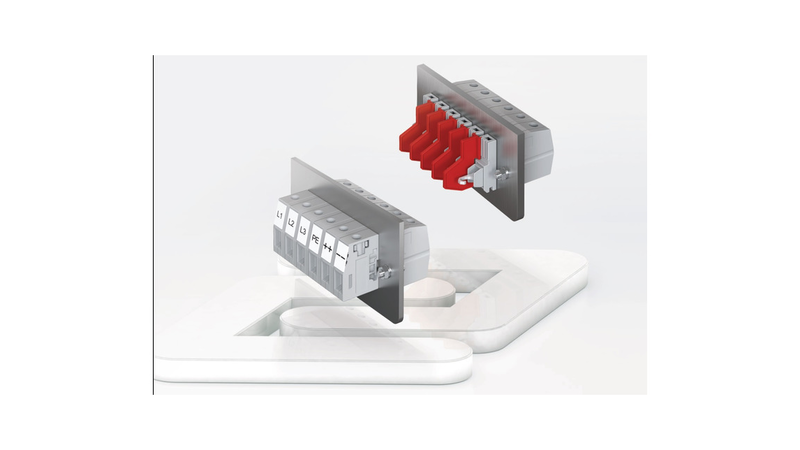 CONTA-CLIP&apos;s SDK feed-through terminals with cross sections from 4mm²to 16mm² provide a modular- based system for various device and housing applications. The coordinated system components can be combined to achieve various voltages - with a maximum voltage level of 1000 V (UL 600 V). The insulated housing is made of polyamide 6.6 UL 94 V-0. The pegs can be used to link the housings together to form multi-pole units. Optional flange plates are available for improved mechanical stability.